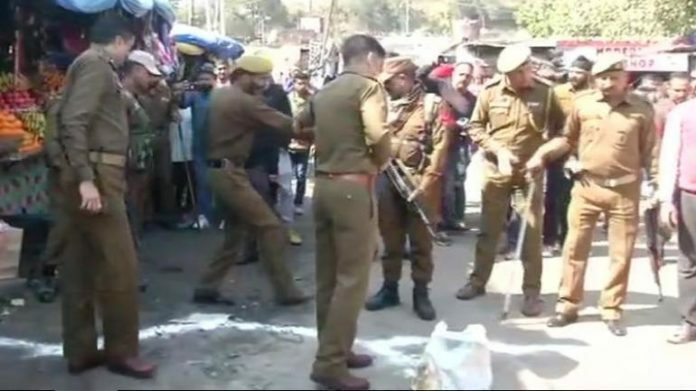 Jammu: A 32-year-old man — who was injured in a grenade attack at a bus stand in Jammu yesterday — died during treatment early this morning, raising the number of dead to two. Mohammad Riyaz, a resident of Anantnag district’s Mattan village, died during treatment at the Government Medical College (GMC) hospital. A teenager from Uttarakhand was killed and at least 30 others were injured after a grenade was lobbed at a bus stand in Jammu on Thursday afternoon. Within hours of the incident, the police arrested the accused, a class 9th student. Police say he was indoctrinated by the Hizbul Mujahideen and tasked to carry out the strike. News agency PTI, quoting Inspector General of Police, Jammu, M K Sinha, said that the accused, Yasir Javed Bhat, is a resident of Khanpora-Dassein village in Kulgam. It said that the accused was tasked by Hizbul Mujahideen’s Kulgam district commander Farooq Ahmad Bhat to carry out the attack. Yasir Bhat had reached Jammu along with the grenade on Thursday morning after he left Kulgam the previous night. He was caught at Nagrota in the outskirts of the city, PTI reported. The grenade attack — the third by terrorists on Jammu bus stand since May last year — comes just three weeks after the Pulwama terror strike on February 14 that killed 40 CRPF jawans, bringing India and Pakistan on brink of war. Previous articleAlmost 100 civilian casualties recorded every week in Yemen in 2018. Next articleSaudi Arabia criticized over human rights by 36 countries.